The Orion 8974 SkyQuest XT8 PLUS Dobsonian Reflector Telescope is one of the best telescopes from the Orion’s SkyQuest series of astronomy tools. This Dobsonian Reflector Telescopes family comprises four different telescope models with different apertures that go from 4.5 inches to 10 inches. The Orion 8974 SkyQuest XT10 PLUS Dobsonian Reflector Telescope is not the biggest one, but it may be the best one of the series. This scope is small enough to fit in the back of a car, but big enough to capture the light and thus to offer some incredible images of different celestial bodies such as the Moon, Mars, stars and nebulas. 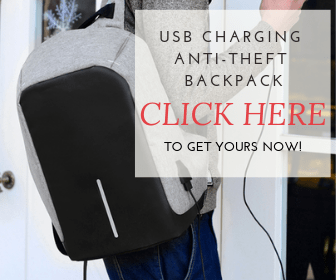 Where to put that it comes at a reasonable price, fully loaded with lots of useful accessories. What is the Orion 8974 SkyQuest XT8 PLUS Dobsonian Reflector Telescope? 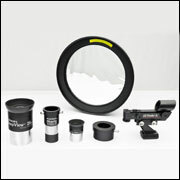 Orion 8974 SkyQuest XT8 PLUS Dobsonian Reflector Telescope is a classical 8-inch aperture Dobsonian telescope. With such a great diameter, this telescope will make you discover the wonders of the universe at full capacity. An 8-inch diameter is a synonym for more starlight entering in the telescope; to get an idea, this scope captures 78% more light than the 6-inch model, so this telescope will provide clearer images with more and more celestial objects. You will even be capable to get some incredible images of details such as the Moon’s craters, valleys, and mountains, or even Saturn’s rings, not to mention star clusters and nebulas. Orion 8974 SkyQuest XT8 PLUS Dobsonian Reflector Telescope is a really easy to use piece, the hardest part being the collimation. Usually, the scopes come already collimated, but due to the whole journey from the deposit, to your house, you will probably need to collimate your scope before starting to properly use it. All the how to collimate info can be found in the telescope’s manual. If that info is a bit too much, you can even find a collimation tutorial on YouTube. Maybe the first time it looks difficult, but after a while, the whole procedure will be a piece of cake for you. True Dobsonian telescopes, all the members of Orion’s SkyQuest series, have left-right altazimuth maneuverability, making them extremely easy to use and also incredibly stable. In all moment the telescope’s tube will be on a safe and stable ground, allowing you to have a steady and free of frustrating vibrations view that can even be photographed, if your purchase an adapter and a T-ring suitable for your SLR or DSLR camera. The number of accessories that comes with this scope is impressive. Orion 8974 SkyQuest XT8 PLUS Dobsonian Reflector Telescope will come with almost all the accessories you need and you won’t have to buy anything extra, which is a huge plus for any scope in general. First of all, the telescope comes with two fully coated eyepieces: a 28mm DeepView eyepiece (42x magnification) and a 10mm Sirius Plossl ocular (120x magnification). These eyepieces will take your astronomical observation to the next level, allowing you to have some nice, clear crisp images. Portability – this is a yes and a no in the same time. It is rather portable for a Dobsonian telescope, meaning that it can fit in the back of a car (only with the base in the trunk, and the tube safely stranded on the back seat), but besides that, the scope is quite heavy, so you may want to carefully choose the place for your spatial observation, because otherwise, this may give you some back pains. Also, you may want to keep your tube in a padded case, to prevent any damage that may occur during transportation. The finderscope – Orion EZ Finder II Telescope Reflex Sight is quite a good piece but it’s not amazing and it’s quite fragile. In time, you may want to purchase a better one. 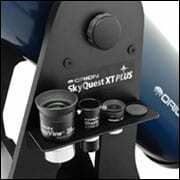 Where to Find the Orion 8974 SkyQuest XT8 PLUS Dobsonian Reflector Telescope? Orion 8974 SkyQuest XT8 PLUS Dobsonian Reflector Telescope is a very powerful, yet affordable telescope, great for beginner and for mid-intermediate level astronomers. The price of this telescope varies depending on the place you want to purchase your scope from, but generally you can find it somewhere around $500. Usually, the telescope comes fully equipped, but you may want to check this detail with the retailer before buying the scope. Amazon is one of the best places to purchase this telescope. On Amazon, you can find it for somewhere around $500 & FREE Shipping, but prices may vary depending on the season or on some reductions applied to the telescope. As a plus, Amazon’s customer support is quite impressive, so you can be sure that your product will arrive safely in a matter of days and in the case of a problem, you can even return the piece. All telescopes are rather fragile instruments, so you must take extra care of your piece. First of all, be very careful where you place or where you deposit your telescope. Dobsonian telescopes is usually stored vertically, so, if you don’t use the covers, dust can get in your scope and then pile up on your scope’s optical components. Humidity free places are the best environments to store telescopes. Try to reduce as much as possible the risk of contamination by keeping the dust covers on, whenever the scope is not used. Also, try to keep the eyepieces in their protective case or box. If the dust covers your lens, you will have to clean them. When cleaning, use a specialized lens cleaning fluid and a soft piece of lint-free cloth. Don’t rub too hard as this may damage the scope’s fragile optical components. In the case of the mirrors, you should not clean them so often, as this may even destroy the scope. As long as you don’t leave the telescope uncovered, there is a small chance to have dust on your lens or on your mirror. The cleaning procedure for the mirrors is similar to that of the lens. Remember not to rub in circles, but from the inside to the exterior of the optical component. 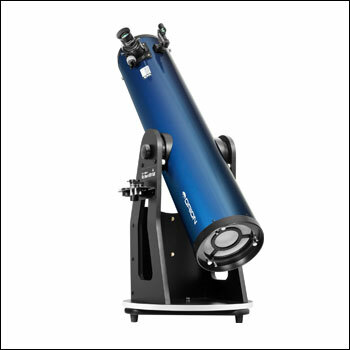 Orion 8974 SkyQuest XT8 PLUS Dobsonian Reflector Telescope is mainly composed out of two big pieces: the Orion SkyQuest XT8 PLUS Dobsonian Reflector Telescope Optical Tube Assembly and the Dobsonian base, which gives the name of the piece. The telescope will come with a 28mm DeepView telescope eyepiece and a 10mm Orion Sirius Plossl eyepiece. Besides these two remarkable eyepieces, the scope comes with a very compact, 3-inch long Orion 1.25″ Shorty 2x Barlow lens. These optical accessories are great and will definitely improve the clarity of the image. Then, you will find the collimation cap and an Orion EZ Finder II Reflex Sight. A red dot sighting device, this accessory will help you to align your scope and to obtain a better view of the celestial bodies. The Starry Night Special Edition astronomy software will also be included in the pack. A learning software, the Starry Night will give you all the basic information about planets and stars. With this program, you could even organize a special night with your friends, depending on the astronomical data, as this scope comes with a great database of important astronomical events. 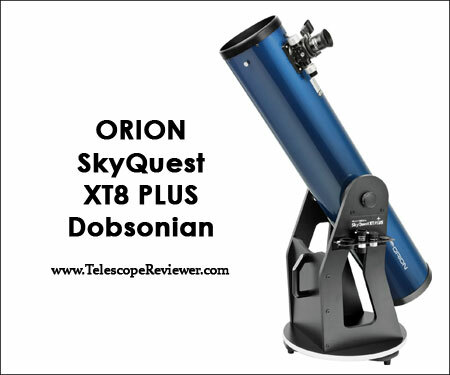 Orion SkyQuest XT Dobsonian Reflecting Telescope has a one-year warranty period. The telescope is warranted against defects in materials or workmanship. The producer will repair or replace, at Orion’s option, any instrument that proves to be defective. Do not abuse, mishandle, or modify the telescope, as the producer will not recognize these types of problems and it will automatically cancel the warranty. The same rule applies in the case of unauthorized repairs or modifications of the piece. The Orion SkyQuest XT Dobsonian Reflecting Telescope is a great scope to be purchased by all beginner and intermediate level astronomers. 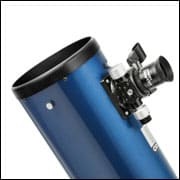 This Dobsonian telescope will be your own personal guide into the amazing world of astronomy, with a user-friendly feel and quite advanced features.